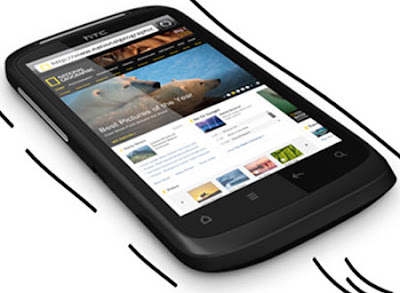 HTC is a well established name in the market for Mobile making. Most of the people are having a dream to purchase a HTC mobile. HTC is going to release the latest models in smart phone series called Incredible S, Desire S and Wildfire S. The letter S back of the model names indicates the new release. The all three phones are not full of new features. HTC Incredible S is similar to the Droid Incredible. It is having a dimension of 120x64x11.7mm and weighing about 135.5gms. It includes 4 inches WVGA super LCD screen. Having a unique feature that capacitive keys can be rotate with the screen. Incredible S runs on Android (apparently Froyo) with 1GHz Qualcomm CPU with 758MB RAM. It is having a camera of 8 megapixels auto focus, LED flash with 720p video on the back side as a primary one. 1.3 mega pixel camera at the front facing as a secondary one. Blue tooth 3.0 or HDMI is not available where as it is enriched with Wi-Fi b/g/n and DLNA. In total Incredible recognized as a stylish smart phone. HTC Desire S having an aluminum body (like Legend) with a 3.7 inches WVGA screen. The hand set is powered by a 1 GHz Qualcomm chipset. It is having a single – core CPU with 768MB RAM and runs on Android 2.3 Gingerbread with Adreno graphics. Device dimension is 15x59.8x11.63mm with a weight of 130gms. It supports Wi-Fi 802 connectivity. Data speed is increased to 14.4Mbps down link and 5.76Mbps up link. Except that it’s same old one. It resembles for the HTC Wildfrees S. Actually it resembles more to the Aria with 3.2 inches HVGA display, but it is smallest smart phone than the original Wildfree and the Aria / Gratia. HTC wildfire S is having a dimension of 101.3mm in height, 59.4mm in wide and 12.4mm in depth. It runs on Sensed Android (2.3 Gingerbread) with a CPU of 600MHz and 512MB RAM. It is having 5 megapixel camera with auto focus, LED flash with microSD card slot. Remarkably HTC Wildfire S have blue tooth 3.0 and NFC support along with Wi-Fi b/ g/n/. 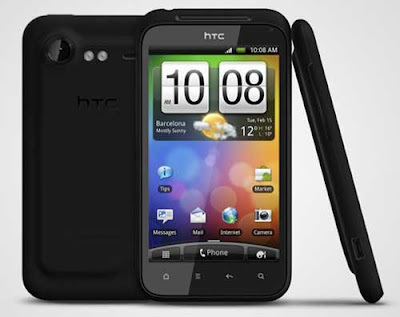 Across Europe and Asian continents HTC Desire S and HTC Wildfire S is mostly available in 2nd quarter of 2011. Where as HTC Incredible S will be available in next month. This is a small debut about all three new coming HTC phones. Sticking to stand and try to grasp more information about the devices.